The Dells started singing in 1953 in Harvey, Ill. They soon got a contract with Checker. 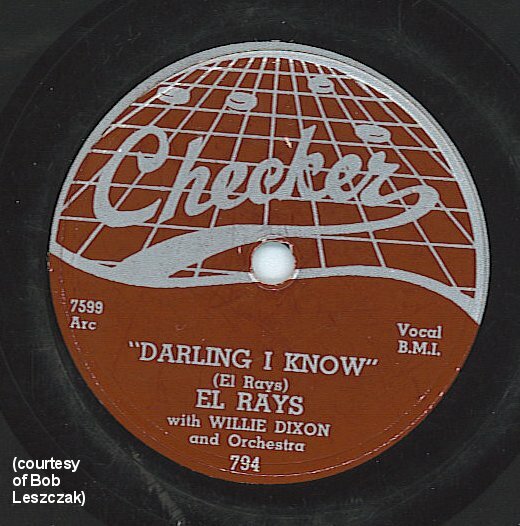 Originally called the El Rays, they released "Darling I Know" soon afterwards. Later, they moved to VJ records of Chicago, and their fantastic career really took off. In a matter of years, they were the top group. Their smash hit, "Oh What A Nite" is now one of the all-time hits of R&B history. The group is composed of Jerry Funches, Michael McGIll, Verne Allison, Chas. Barksdale, and Marvin Junior. ME AGAIN: Seven sentences. Wow! Did you notice that I mentioned their "fantastic career," then proceeded to say nothing about it? Please [I beg you] tell me I'm doing better nowadays! Oh well, I'll try to expand a bit on this below, without going too crazy. I only plan to talk about their Checker and Vee-Jay days, however (although, if I get adventurous, I may throw in Argo). Here we go. One of the most beloved of all the 50s groups is the Dells. My own favorites include those with the wavering tenor of Johnny Funches: "Tell The World," "Why Do You Have To Go," "Pain In My Heart," and especially "Dreams Of Contentment." Amazingly, as I write this in 2007, the Dells are still performing, essentially with the same personnel for around 50 years. In addition, the Dells did loads of backup work. "Hello Stranger" (Barbara Lewis) and "Your Friends" (Dee Clark) are two that come readily to mind. The Dells came from Harvey, Illinois (south of Chicago and east of Gary, Indiana). 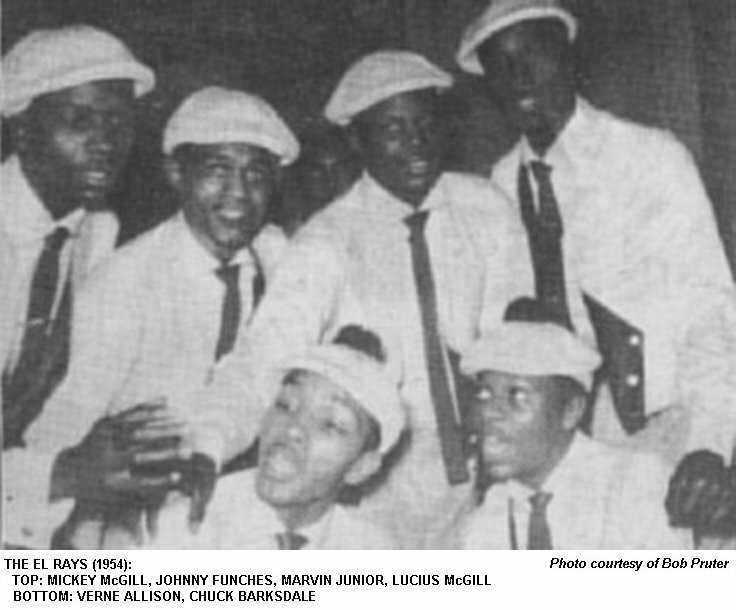 The six Thornton Township High School students that coalesced into a group around 1952 consisted of Johnny Funches (tenor lead on the slow tunes), Michael "Mickey" McGill (tenor), Verne Allison (tenor), Lucius McGill (Michael's brother, tenor), Marvin Junior (baritone lead on the uptempo tunes), and Chuck Barksdale (bass). 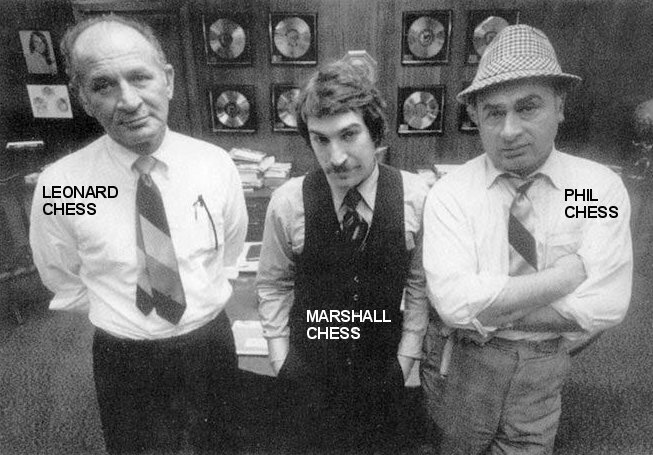 In late 1953 or early 1954, they journeyed to Chicago to try out for Chess Records (Leonard Chess himself conducted the audition). Chess was impressed enough to set up a session. 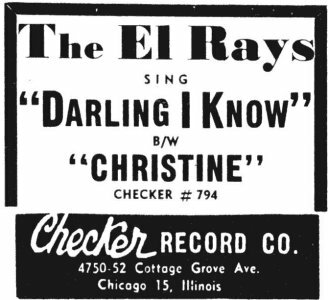 On February 17, 1954, the El Rays recorded four sides: "Christine," "Darling, I Know," "Whing Ding All Night," and "So Long." On at least "So Long" (and possibly "Whing Ding All Night"), they're backing up Willie Dixon. "Christine" and "Darling, I Know" were released, in May, on Chess' Checker subsidiary. Both were rated "good" on May 22, along with Chuck Willis' "I Feel So Bad," the Rivileers' "Forever," the Hawks' "Good News," the Strangers' "Blue Flowers," and the Bards' "I'm A Wine Drinker." Not only did Vivian and Jimmy Bracken's Vee-Jay Records welcome them with open arms, but also got them to give up on that clunky (and, did I mention, incorrect) El Rays name. Now they were the "Dells." 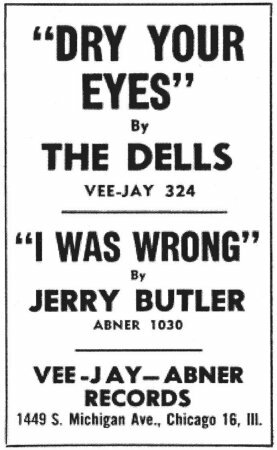 Almost a year to the day after their Checker session (February 19, 1955), the Dells recorded "Tell The World" and "Goodbye" for Vee-Jay. While "Tell The World" was a great way to start things off, I imagine that "Goodbye" was somewhat less than perfect, since it has still to see the light of day. When it came time for Vee-Jay to release "Tell The World" (April 1955), they backed it with "Blues At Three," a Count Morris instrumental that had been sitting in the can since December 20, 1953. "Tell The World" was rated "good" on May 7, along with Sam Taylor's "Red Sails In The Sunset," the Dreams' "I'll Be Faithful," the Spaniels' "Don'cha Go," the Cookies' "Later, Later," the Diablos' "Do You Remember What You Did?," Babs Gonzalez' "Hairdressin' Women," Dan Grissom & the Ebb-Tones' "Recess In Heaven," Rudy Greene & 4 Buddies' "You Mean Everything To Me," the Regals' "Got The Water Boiling," Charlie Calhoun's (Jesse Stone) "Smack Dab In The Middle," and the Roamers' "Chop Chop Ching A Ling." While "Tell The World" wasn't a tremendous seller (except probably in Harvey), it gave an inkling of things to come. On September 15, 1955, they were back in the studio with four more tunes: "I Can't Help Myself," "Zing, Zing, Zing," "Dreams Of Contentment," and "She's Just An Angel." "Zing, Zing, Zing" and "Dreams Of Contentment" were released in December 1955. While still not making the national charts, the exquisite "Dreams Of Contentment" did better than "Tell The World." The disc was reviewed on March 3 (both sides "good"), along with the Heartbeats' "Darling How Long," the Spaniels' "False Love," James Brown's "Please, Please, Please," the Avalons' "Chains Around My Heart," the Cookies' "In Paradise," Bobby Mitchell's "Try Rock And Roll," the Daps' "When You're Alone," the Charms' "Heart Of A Rose," the Champions' "It's Love, It's Love," and Babs Gonzales' "House Rent Party." 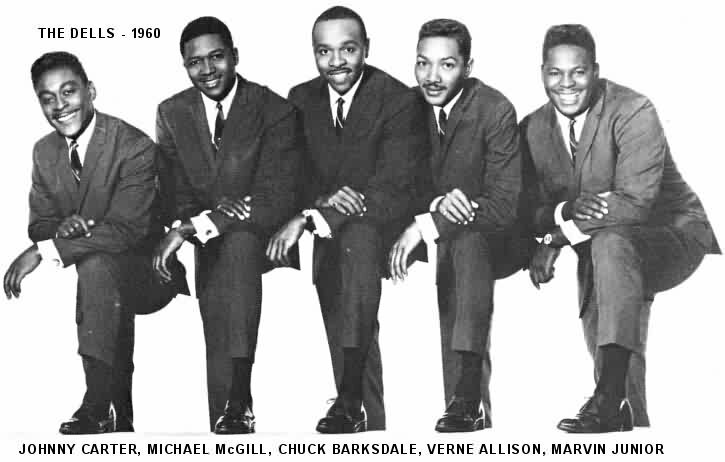 However, there was a bit of dissention in the ranks: Chuck Barksdale responded to an offer from Otis Williams to become the bass of the Charms (replacing Matt Williams, who had left to get married) and missed being present on their most famous song, "Oh What A Nite," recorded on May 21, 1956. 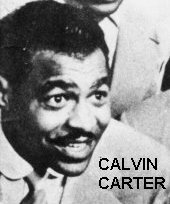 The bass on that session was Calvin Carter, Vivian Bracken's brother and Vee-Jay's A&R man. According to Carter: "Chuck Barksdale left the night of the session to go with Otis Williams and the Charms ..., so I was left without a bass singer. So I sang the bass line like I fix an automobile. It was nothing I was proud of; it was just makeshift. Actually, I was just lifting some of [Gerald] Gregory's licks from the Spaniels." The other songs they recorded that day were: "Now I Pray," "Jo Jo," and "Baby Do." "Oh What A Nite" and "Jo Jo" were issued in July 1956. Stardom awaited. However, the record took it's time about taking off. The Dells were actually on the verge of giving it all up when they ran into the Moonglows, who told them the record was a hit in New York. 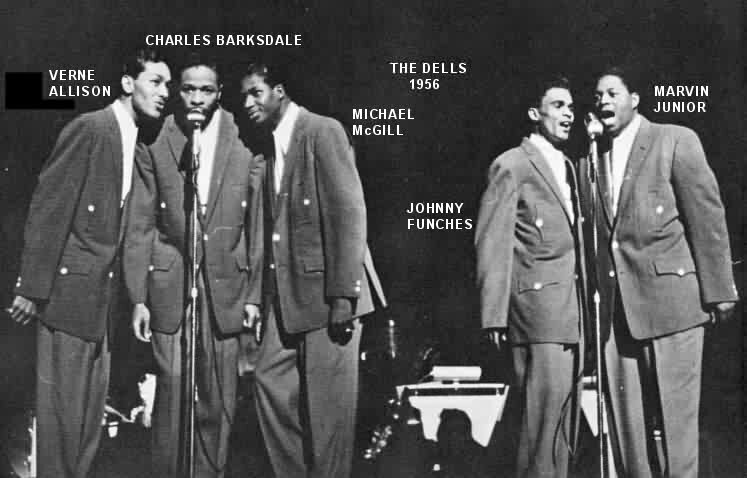 By the late summer, Chuck Barksdale had returned to the Dells, in time for their September 5 session, at which they recorded "It Takes Time," "I Wanna Go Home," "When You Kiss Me," and "Movin' On." On October 12, 1956, the Dells kicked off their first appearance at the Apollo Theater as part of the "New R&B Stars of 1956" show. Others on the bill were the Pearls, the Velours, the Channels, the Solitaires, the Flamingos, Ruth Mc Fadden, and Titus Turner. On October 13, "Oh What A Nite" was rated a Pick Of The Week and on October 20, it was a Tip in New York. "Oh What A Nite" finally climbed to #4 on the national R&B charts, although it never made the Pop charts at all. Unfortunately, the Dells would not have another national hit until 1965. The guys were back at the Apollo on November 16, as part of a Dr. Jive show. This time, they shared the stage with the Cadillacs, Bo Diddley, Screamin' Jay Hawkins, the Debutantes, the Schoolboys, the Chips, the Heartbeats, Ann Cole, Robert & Johnny, Annie Alford, and the Reuben Phillips Orchestra. "Movin' On" and "I Wanna Go Home" became their next release in December 1956. Strangely, they don't seem to have been sent out for review. The Dells' next session was held on January 11, 1957, when they recorded: "Why Do You Have To Go," "A Distant Love," "Dance, Dance, Dance," "Pain In My Heart," and "You're Still In My Heart." The next week (January 18), they were back at the Apollo, this time with a Hal Jackson show. Also on the bill were Bill Doggett, the 3 Friends, Gene & Eunice, Big Jay McNeely, Vickie Nelson, and Baby Lawrence. In February 1957, Vee-Jay issued "Why Do You Have To Go," backed with "Dance, Dance, Dance." These were reviewed (both "excellent") on March 9, along with Bob ("The Wanderer") Kornegay's "The Man In The Phone Booth," the Moonglows' "Don't Say Goodbye," the Jivers' "Ray Pearl," the Colts' "Sheik Of Araby," Johnnie & Joe's "Over The Mountain, Across The Sea," the Crystals' "I Love My Baby," and Dale (Sam Cooke) Cook's "Forever." On April 13, "Why Do You Have To Go" was a Tip in Los Angeles. May 3 found the Dells back at the Apollo with Dr. Jive. They shared the boards with the Paragons, the Avons, the Valentines, Charlie & Ray, the Metronomes, Robin Robinson, JoAnn Campbell, Titus Turner, and the Reuben Phillips Orchestra. 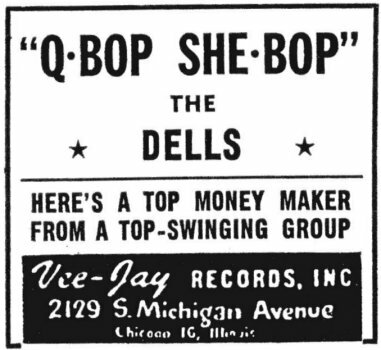 On June 13, 1957, the Dells were back in the studio recording "Q-Bop She-Bop" and "Time Makes You Change." "Q-Bop She-Bop" was paired with "A Distant Love" for a July release. They were reviewed ("Q-Bop She-Bop" receiving a "good") on August 5, along with Gene & Eunice's "Doodle Doodle Doo," the Charms' "Do Be You," the Ravens' "That'll Be The Day," and the Paragons' "Let's Start All Over Again." On August 23, they headlined at the Apollo, once again with Dr. Jive. Others on the show were the Paragons, the Cadillacs, the Cleftones, JoAnn Campbell, the G-Clefs, Johnnie & Joe, the Shells, Tommy Brown, and Pretty Boy (Don Covay). "Pain In My Heart" and "Time Makes You Change" were released in October 1957 and reviewed on November 4 (with "Time Makes You Change" receiving an "excellent" rating). Other reviews that week were for the Charms' "Dynamite Darling," the Drifters' "I Know," Dee Clark's "24 Boy Friends," and Noble Watts' "Hard Times (The Slop)." On November 25, "Time Makes You Change" was a Tip in Chicago. They spent New Year's Eve at the Apollo (the week starting December 27) as part of a show featuring Bo Diddley, Big Maybelle, the Drifters, the Moonglows, the Deltairs, Priscilla Bowman, Screamin' Jay Hawkins, Mally & Margot, and the Reuben Phillips Orchestra. Back to the studio on February 5, 1958 to record "Baby, Open Up Your Heart," "What You Say Baby," and "Someone To Call Me Darling." Two weeks later (February 19) they re-recorded "Someone To Call Me Darling," as well as "The Springer," and "My Dreams." "The Springer" and "What You Say Baby" were paired for a late February 1958 release, but they weren't reviewed until April 14 (both "good"). Other reviews that week were for the Chanters "My My Darling," Frankie Lymon's Portable On My Shoulder, the Cadillacs' Speedo Is Back, and the Turks' Fathertime. April 4 found the Dells back at the Apollo with Dr. Jive. Others on the show were Fats Domino, the Coasters, the Flamingos, the Spaniels, and the Fidelitys. Later that month (the 22nd), they were back in Chicago to record "My Dreams," "Dry Your Eyes," and a third song, whose title in the master book is illegible. 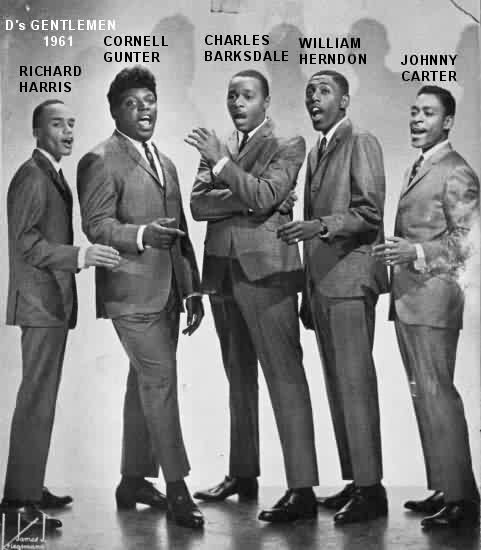 On July 22 1958 the Dells recorded "My Best Girl," "I'm Calling," "Jeepers Creepers," and "Cherry Bee." "I'm Calling" and "Jeepers Creepers" were released in August, but not reviewed. Note that "Jeepers Creepers" was a modern harmony arrangement, something that Vee-Jay (almost alone in the R&B field) allowed its artists to do. There was another session held on October 8. This time they waxed "Restless Days," "Rain," "Wedding Day," and "I Cover The Waterfront." Two days later, they became part of a Jocko show at the Apollo, along with Little Willie John, the Isley Brothers, the Upsetters, Little Anthony & the Imperials, and the Chantels. Vee-Jay released "Wedding Day" and "My Best Girl" in November 1958, but doesn't seem to have sent them out for review. In late November or early December, the Dells were to appear at Philadelphia's Uptown Theater as part of a Georgie Woods show. As they were traveling on the Ohio Turnpike, they were involved in a serious auto accident. The station wagon that they were using had been in an accident previously and unbeknownst to the guys, its frame was bent. As they were driving, the frame simply snapped. Chuck Barksdale was thrown through the windshield, Marvin Junior suffered a lacerated larynx, and Mickey McGill was hospitalized with a broken hip. In about a month (January 1959), Harvey [Fuqua] came back for them [the Marquees] and they found themselves the new Moonglows. They started out on tour, and when they got to Chicago, Harvey went to a pool hall and found Chuck Barksdale, bass of the Dells (who had split up at this point); he was added as a sixth member. It took almost a year for Vee-Jay to issue another Dells record. In September 1959, they dug around in the vault and came up with "Dry Your Eyes" (from April 1958), which was paired with "Baby, Open Up Your Heart" (from February of that year). These were reviewed the week of September 21 (both "good"). 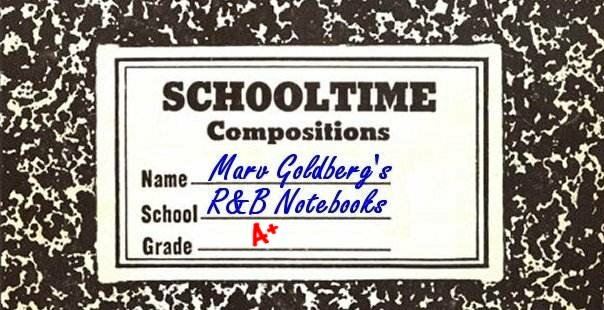 Other reviews that week were for Luther Bond & the Emeralds' "Gold Will Never Do," Dinah Washington's "Unforgettable," Jimmy Jones' "Handy Man," and Roy Brown's "School Bell Rock." My speculation is that Vee-Jay released this record to coincide with the Dells coming back together. 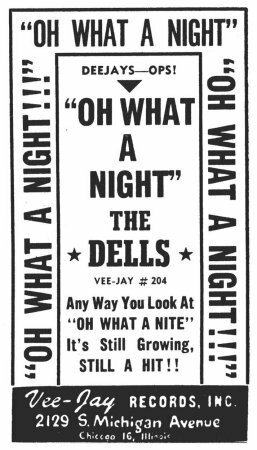 November 1959 saw Vee-Jay re-issue of two of the Dells' oldies from 1956: "Oh What A Night" and "I Wanna Go Home." Back in September 1958, Johnny Carter, the soaring tenor of the Chance, Parrot, and Checker Flamingos was discharged from the army. He thought he'd be re-joining his old outfit, but they already had six singers and wouldn't let him back in. Fortunately for him, when the Dells re-formed, Johnny Funches decided not to return (actually, his wife decided it for him). The guys hired Johnny Carter and he remained with them until his death in 2009.. 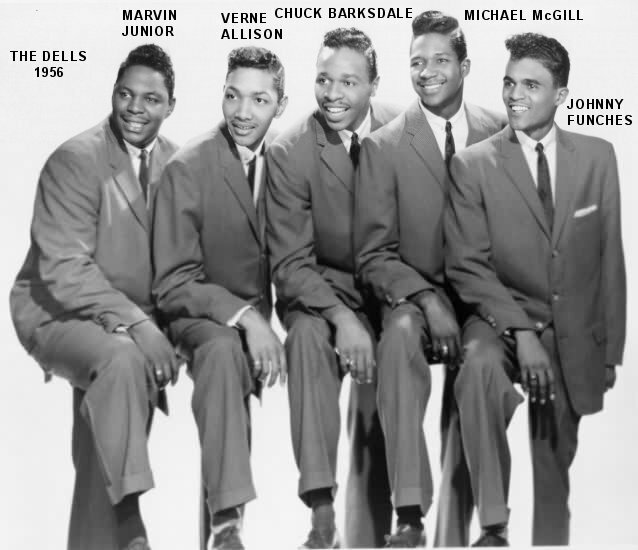 The Dells were now Marvin Junior (who's heard on most of the leads from here on), Mickey McGill, Verne Allison, Johnny Carter, and Chuck Barksdale (who was still singing on and off with the Moonglows). On March 31, 1960, they were back in the Vee-Jay studio to record "Oh What A Good Nite" and "Class." In late 1960, they backed up Dee Clark on "Your Friends," his follow-up to "You're Looking Good." 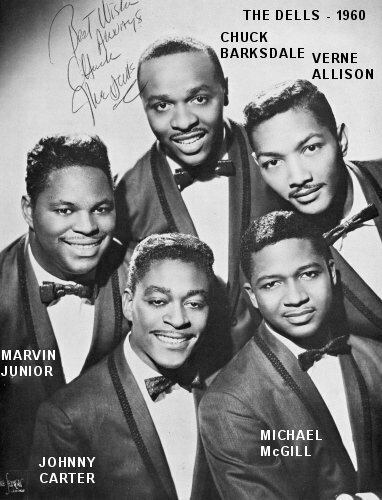 Their last session for Vee-Jay (this time around), held on January 13, 1961, produced "Swingin' Teens," "Don't Tell Nobody," and "Hold On To What You've Got." For some reason, Dallas Taylor, formerly of the Danderliers, was an additional voice on this session. "Swingin' Teens" and "Hold On To What You've Got" were issued in March 1961. May 12, 1961 found them back at the Apollo, along with Dinah Washington, the Hi-Fis, and Jimmy Ricks. At this point, they hooked up with Dinah Washington, who used them as a backup group at performances. They're even on many of the tracks on her Mercury Tears And Laughter album (see discography), recorded on August 15 and 16, 1961. 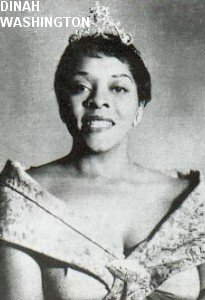 Another trip to the Apollo took place the week of October 13, 1961, once again, with Dinah Washington. Others on the show were Nate Nelson (in his short solo career after leaving the Flamingos), Baby Lawrence, King Coleman, and Reuben Phillips Orchestra. After this, however, there was a disagreement among the Dells and they broke up for a time. 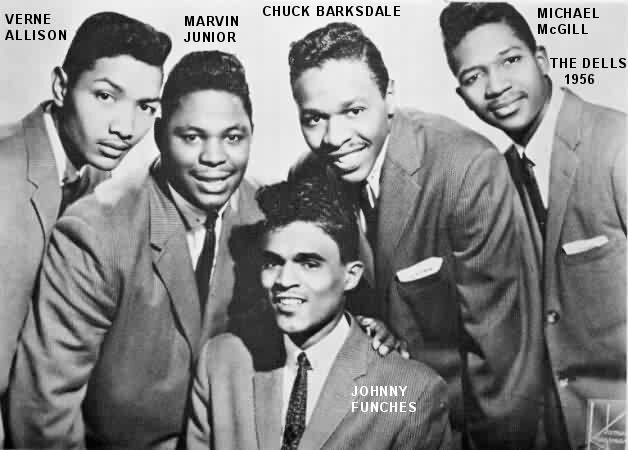 Dinah kept Chuck Barksdale and Johnny Carter, adding tenor Cornell Gunter (formerly of the Flairs and the Coasters), and a couple of former members of the Altairs: Richard Harris (first tenor) and William Herndon (second tenor). She called them "D's Gentlemen." 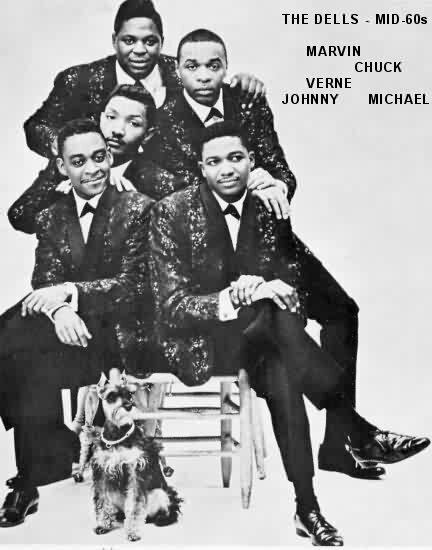 To replace Barksdale and Carter, the Dells added Opal Courtney, Jr., who had been one of the original members of the Spaniels (labelmates of the Dells from their Vee-Jay days). 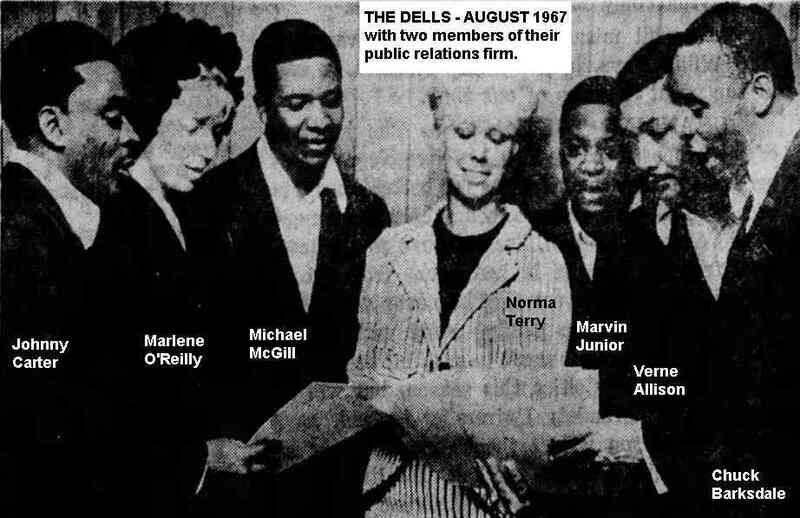 The Dells were now the quartet of Marvin Junior, Mickey McGill, Vernon Allison, and Opal Courtney. In February 1962 (notice that exact dating is next to impossible with Chess), they recorded "God Bless The Child" (the old standard), "I'm Going Home," "Walk On The Wild Side," and "Eternally" for Chess' Argo subsidiary. The first two were released in April. In October, the Dells recorded another two tracks for Argo: "The (Bossa Nova) Bird" and "After You." Better than the title would have you believe, "The (Bossa Nova) Bird" was released that same month, with "Eternally" as the flip. 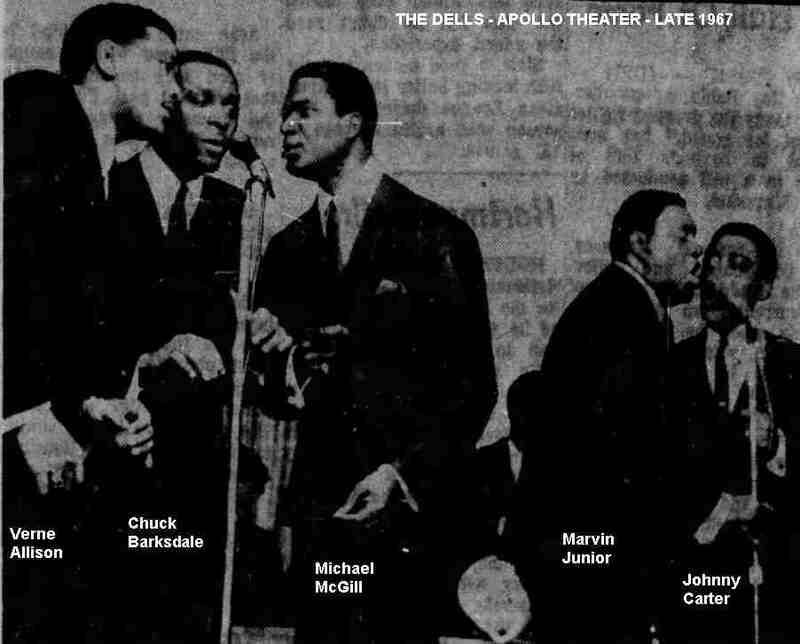 On February 22, 1963, the Dells returned to the Apollo Theater for a show hosted by Ralph Cooper. Other acts that week were the Crystals, the Orlons, the Crests, Jan Bradley, Mongo Santamaria, and the Pacheco Bossa Nova Band. 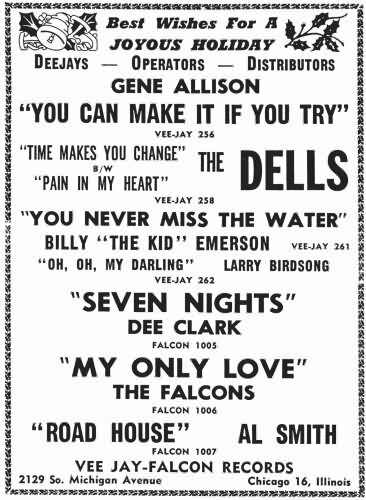 In March 1963, the Dells had their final session for Argo, laying down four tracks: "If It Ain't One Thing It's Another," "Good-bye, Mary Ann," "Let Him Lend A Hand," and "Hi Diddley Dee Dum Dum." Argo released "If It Ain't One Thing It's Another"/"Hi Diddley Dee Dum Dum" in June. The final Argo release, "After You" and "Good-bye, Mary Ann," was issued in October. By this time, Chuck Barksdale and Johnny Carter had returned and Opal Courtney was gone. Then, the Dells returned to Vee-Jay. Since I have no idea where either company was located at this point, they might have gone across the street or across town. Sometime in the spring of 1964, they recorded three tracks: "Shy Girl," "What Do We Prove," and "Wait Till Tomorrow." The first two were released in May. Then, "Wait Till Tomorrow" was paired with "Oh What A Good Nite" (recorded back in March 1960) for an August 1964 release. On September 15, 1964, they laid down another four tracks: "My Baby Just Cares For Me," "Li'l Darlin'," "It's Not For Me To Say," and a remake of "Jeepers Creepers." These were all heavy-duty modern harmony arrangements (although I'm guessing on "My Baby Just Cares For Me," which I've never heard). These were followed, a few days later (exact date unknown), by "Witchcraft," "Ev'ry Day I Have The Blues," "I've Got A Woman," and "Alexander's Ragtime Band." 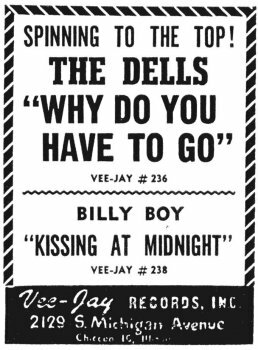 On February 19, 1965, the Dells recorded two more tracks for Vee-Jay: "Stay In My Corner" and "Let's Do It Over." Another session was held in April 1965. The only tune recorded that day was a cover of Tom Jones' "It's Not Unusual." It was rushed out that same month, with "Stay In My Corner" as the flip. I guess everyone was expecting "It's Not Unusual" to be the money-maker in the Soul market, but by the time the dust had settled, it was "Stay In My Corner" that was a solid R&B hit, rising to #23 on the national charts. The final Vee-Jay session was held towards the end of 1965. This time, they recorded "Hey Sugar (Don't Get Serious)" and "Poor Little Boy." These were paired for a December release. However, at that point, Vee-Jay was disintegrating, filing for bankruptcy in the middle of 1966. Predictably, after Vee-Jay, they went back to Chess again, having loads of releases on Chess' Cadet subsidiary (the successor to Argo) from 1966 to 1975. This included two #1 R&B chart hits (a remake of "Stay In My Corner" in 1968 and a remake of "Oh What A Night" the following year). In total, they racked up 43 R&B chart hits through 1984, all but two of them after Vee-Jay (on Cadet, Mercury, ABC, 20th Century, and Private I). One other outing for the Dells was backing up Herbert Butler as the "Players" on "He'll Be Back"/"I Wanna Be Free" (released on Minit in 1966). Calvin Carter didn't like the way the real Players group sounded, so he kept their lead singer and threw the Dells (minus Marvin Junior) behind him. While a different Players group was formed after this, Chuck Barksdale continued to sing on their sessions. At the Apollo Theater in late 1967, the Dells were voted "Champion Rhythm & Blues Group In America. They were still Verne, Chuck, Michael, Marvin, and Johnny. 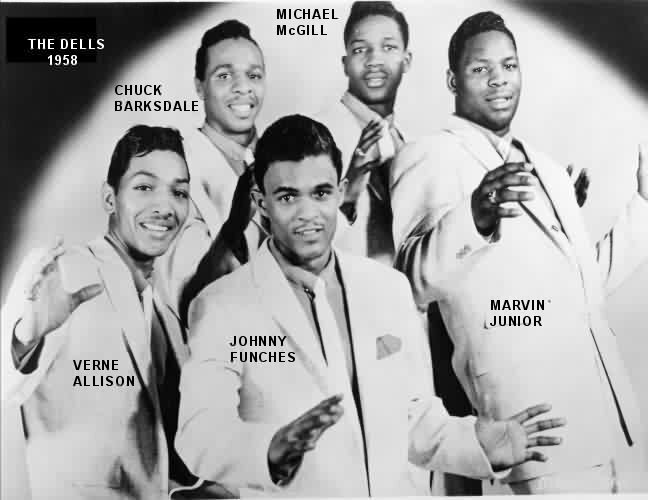 Johnny Funches, original lead singer of the Dells, passed away in January 1998 from emphysema. Johnny Carter, the soaring tenor of both the Flamingos and the Dells, died in August 2009. The Dells were one of those rare groups that both stayed together and had greater success as time went on. When the great hitmakers of the 50s like the Moonglows, the 5 Keys, and the Clovers had been reduced to oldies acts, the Dells were still going strong. It's now the first day of spring in 2012 and I've just been informed by Marvin Junior's daughter, LaTanya, that after 60 years, the Dells (still Mickey McGill, Verne Allison, Marvin Junior, and Chuck Barksdale.) will give their final performance on June 24 of this year at the Rock And Roll Hall Of Fame in Cleveland. It's been a long, long run. Thank you, Dells. Special thanks to Bob Pruter and Victor Pearlin. Ads are from Galen Gart's First Pressings series. Discography courtesy of Ferdie Gonzalez.